HomeMadeville: Your Place for HomeMade Inspiration: Paper and Book Holder Makeover: A great gift idea for just about anyone! So, what is it? It is a paper and book holder that can also be used as a magnetic board. I started with a simple, plain, metal paper holder from an office supply store. 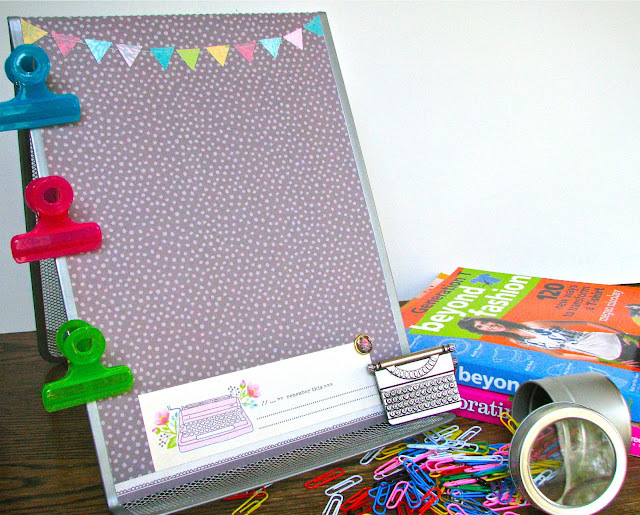 Because it is magnetic, you can use it to hold paper for typing or as a magnetic memo board. So, if you are ready to get started, let's take a look at how I did it. 1. 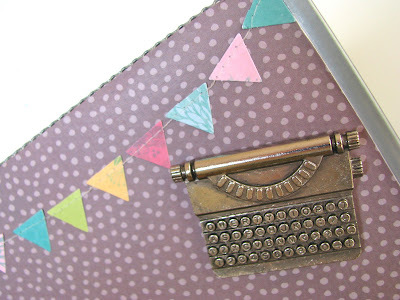 Cut scrapbook paper to size. 2. Apply Mod Podge to the back of the paper and to the holder then put in desired position. *Note: it took more Mod Podge for this project than it normally would because the paper holder I chose was not a solid piece. It was more of a metal mesh piece. 3. Use Brayer to smooth out paper. Let dry. 4. Apply embellishments. I embellished with a flowered brad and a flag banner. 5. Mod Podge over the top. I Mod Podged around the brad, not over the top. After it dries, you are finished, unless you want to go a step further and create a magnet to compliment the paper and book holder, like I did. I found this little metal typewriter in Michaels' dollar bins. I used Gorilla glue to attach magnets to the back -- super simple. 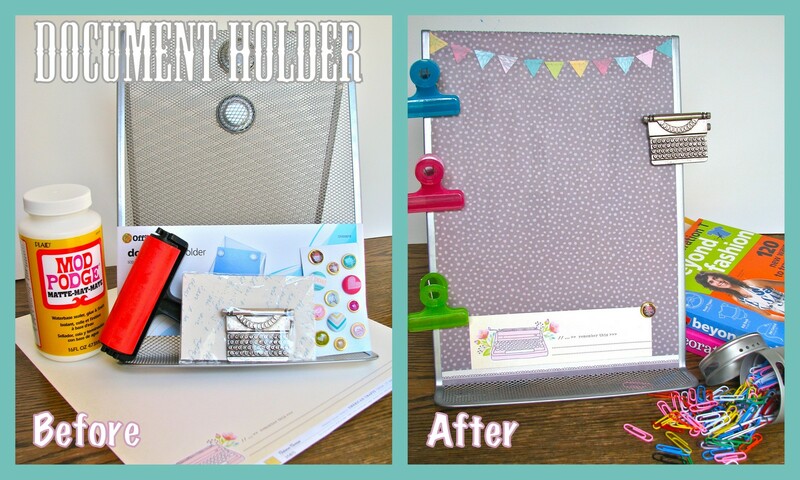 That was it...my magnetic paper and document holder complete homemade magnet were complete! 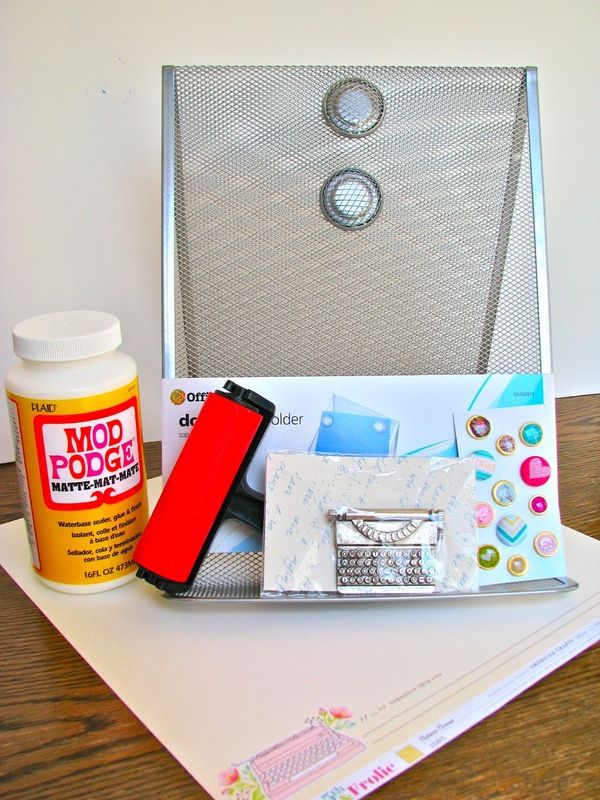 Now go check out all of the other amazing Teacher Appreciation week projects below, and let me know if you have any questions about my magnetic board and paper holder project. Very cute, Niki! Great job! too cute - maybe I'll do this for Red's teachers! 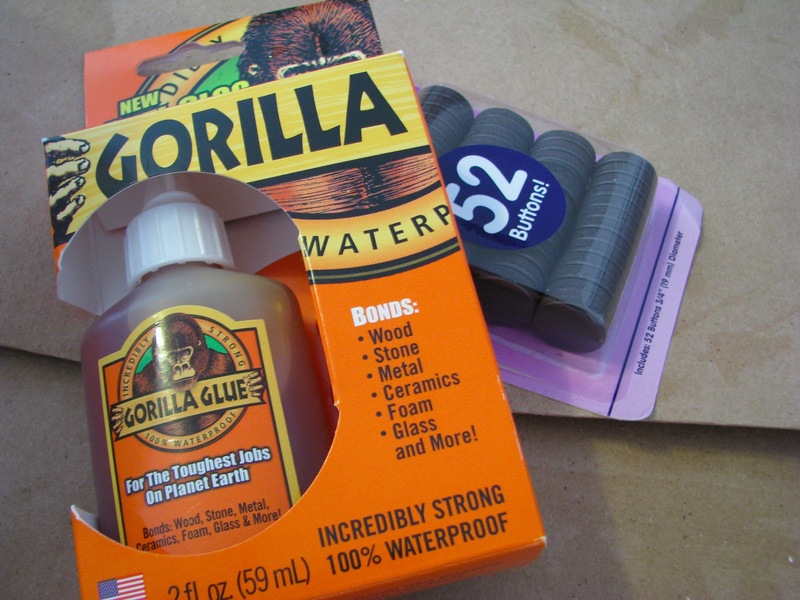 This is SUCH a great gift idea - I used to use one all the time! This is adorable! I think I may have to do something like this for the one I have at work! Thanks for the inspiration. So cute! I've pinned this one!